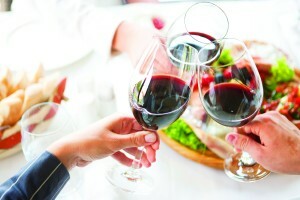 Guests enjoy specially selected reserve caliber wines poured by knowledgeable QFC wine stewards including selections from Brown Family Vineyards, Col Solare, Erath, Mercer Estates, Maryhill, Northstar, Spring Valley Vineyards, Waterbrook Winery, The Woodhouse Wine Estate and more. Washington’s urban destination wine region has the tagline “Where Washington Pours” and features 30 Woodinville wineries pouring more than 100 wines (and all Washington’s AVAs). Bring your glass and take a seat as you watch Diane LaVonne of Diane’s Market Kitchen teach you about cooking and pairing beer with food. Sample bites from the demonstration, and remember to pick up one of the coveted Stella Artois Chalices. Local favorite Tim’s Cascade Snacks is serving up new flavors of their famous salty chips and popcorn. Taste through new developments in cider and beer or lounge at one of the café tables. Take a stroll at Sip Northwest Distillery Walk featuring many of the region’s hottest craft spirits makers as well as global brands. Grab a hand-forged doughnut and revive your palate, with a stop at the Top Pot Doughnut and Coffee Bar. For an added bonus, grab a sample sip from Sun Liquor Distillery. Take the “Riesling Challenge” and determine which wine pleases your palate – Dry, Off Dry or Sweet. Also taste through wine selections from their portfolio including 14 Hands, Anew, Chateau Ste. Michelle, Columbia Crest, O Wines and Red Diamond. Seek out their displays in local QFCs for a special ticket discount. Les Dames d’Escoffier Seattle is the event beneficiary. Its talented membership provides a special experience at SWFE with member beverages, food and specialty products including Anthony’s Pier 66, Biscuit Box, Gelatiamo, Gnocci Bar, Hot Stove Society, Kaspar’s Special Events & Catering, McCrea Cellars, Pike Brewing Company, Serafina & Cicchetti, World Spice Merchants and more. Have you discovered a perfect glass of wine, but don’t know how to identify the aromas? Wente Vineyards offers a unique Aroma Experience where you will learn how to pick out specific aromas in wine, and be able to describe them with ease. This experience is fun and interactive and also features their family of wines for tasting. Get taste of wine regions from the Northwest and beyond with sips from Woodinville, Washington, Idaho, Oregon, California, Wine Road Sonoma, Wine Yakima Valley, Cascade Valley Wine Country and international wineries including Argentina, France, Israel, Italy, Portugal, Uruguay and more. Stay tuned for menu items coming soon and find the full list of featured chefs on the event website. Guests can savor the incredible creations from more 25 of Seattle’s most accomplished chefs and another 25 food exhibitors representing a global range of cuisines. Stay hydrated with the quality waters from San Pelligrino and Acqua Panna. Yakima Valley is the heart of Washington State’s agricultural belt and the emerging center for craft beverage. Learn about “The Valley” and stick around for select giveaways while sampling a variety of products. New this year, master butcher Tracy Smaciarz, owner of Heritage Meats will entertain and delight you with butchery demos that are coupled with tastes from restaurants Bell + Whete featuring Gleason Ranch Beef and Delicatus featuring Jerry Baker Pork. Tickets for this year’s event are on sale now at www.seattlewineandfoodexperience.com.